South Korean Defense Minister Jeong Kyeong-doo will be heading to the United Arab Emirates (UAE) this week to hold talks with his Emirati counterpart on ways to strengthen ties military and cooperation in the defense industry, as reported by his office on Thursday. Jeong plans to leave on Thursday for the UAE for a six-day visit, at the official invitation of his counterpart, Mohammed Ahmed Al-Bowardi. 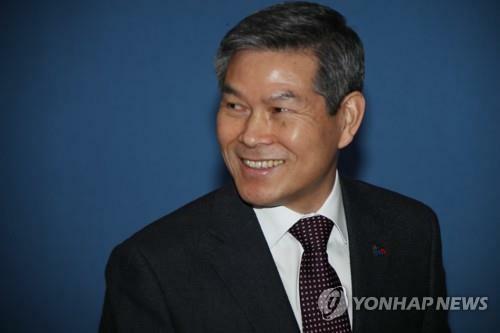 Both officials are planning to hold bilateral dialogues.Jeong will also meet with South Korean soldiers from the Ahk and Cheonghae units that are stationed in the Middle East country. South Korea sent the 150-strong Ahk unit to the UAE at the beginning of 2011 to assist in the training of special forces and conduct joint military exercises in the region. The Cheonghae naval unit, with more than 300 soldiers, has been operating in the Gulf of Aden, since 2009, to assist in operations against piracy. Before returning to Seoul on Tuesday, the minister also plans to attend the IDEX International Defense Exhibition and Conference in Abu Dhabi.